KATHMANDU, Sept 1: A jet stream aircraft belonging to Yeti Airlines has narrowly escaped an accident at Tribhuvan International Airport, on Saturday. 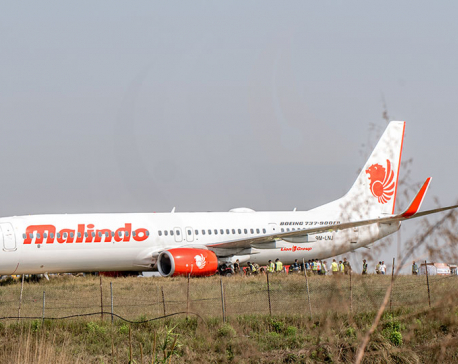 According to the general manager Raj Kumar Chhetri of TIA, the plane with call sign 9NAHW, flown from Nepalgunj, skidded off to the grassland while landing at the runway. The plane had landed at around 8.30 pm carrying 21 passengers. All passengers are safe, according to the airport officials. Following the incident, the TIA had been closed for some period. Efforts are underway to get back the aircraft to the runaway. 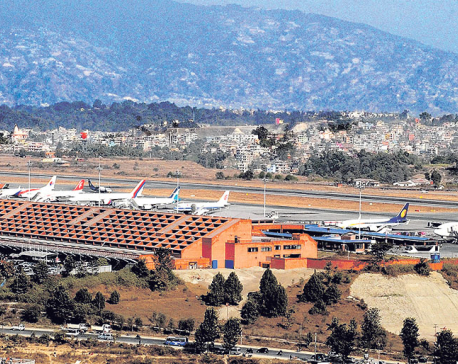 KATHMANDU, March 28: Tribhuvan International Airport (TIA) has started preliminary work to extend airport operation time to 21 hours a day.